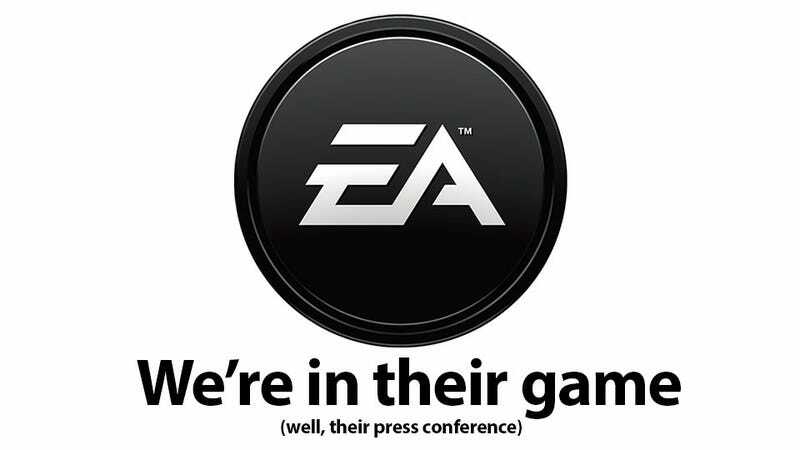 E3's Monday presstravaganza continues with the EA press conference. Here now, we've got our own Kate Cox, Chris Person and Owen Good livetweeting the Electronic Arts press conference. Refresh the page to get the most up-to-date updates, and of course, follow Kate Cox, Owen Good and Chris Person as well.